If you're looking to use the 13Clowns addon, or still have it installed, DELETE IT IMMEDIATELY. Below, we review the 13Clowns addon and whether it’s worth a download. We take special care to note whether the addon is safe to use and if there are any alternatives out there that can be used instead. The 13Clowns Kodi addon streamed media such as movies and TV shows from a variety of sources. Third-party addons like 13Clowns commonly stream from unlicensed sources. Below, we’ll explore the 13Clowns addon, including what type of content it offers and good alternatives to use. But this addon is now a threat to users and should be deleted immediately, and not downloaded from any location. Users can enjoy their home entertainment collection by using Kodi. Kodi is an open-source media player which is available for free. One of the biggest advantages of Kodi is the ease with which it can be set up. Moreover, it’s available on a wide range of platforms including Windows and Mac PCs, Android devices, iPhones, the Nvidia Shield, Amazon’s Firestick and Fire TV, the Raspberry Pi, the Apple TV, and the Roku streaming TV box. Your ISP can view all of your internet activity, including your streaming data. ISPs in some countries can even sell your data to third parties for a profit. This poses a risk to your online privacy and anonymity. VPNs offer the best solution to keep your ISP from intruding on your private streaming activities. VPNs reroute your internet connection through a secure third-party server, masking your online presence and protecting your data and identity. ISPs in several major countries have also been caught throttling streaming video to lower quality. VPNs hide your connection and the type of data you’re transferring, making it impossible for your ISP to detect what you are streaming, thereby avoiding ISP throttling. We have tested several VPNs and found IPVanish to be an excellent choice for use with Kodi. It offers fast connection speeds and works on several different devices such as Windows PCs, Android devices, iOS devices, and Amazon Fire TVs. Most importantly of all, it is a secure solution which stores no logs. BEST VPN FOR KODI:Save up to 60% on an IPVanish plan here, our favorite VPN for fast, private streaming. What is the 13Clowns Kodi addon? The 13Clowns addon was yet another Exodus fork, similar to the Exodus Redux Kodi addon. It pulled content from a number of sources using what is known as a scraper. Using this mechanism, it was able to provide links to a wide range of content including cartoons, movies, documentaries, and TV shows. You should note, however, that it’s clear that a lot of this content was streamed via pirated content websites. These sites are illegal in many jurisdictions such as France, the UK, Australia, and the US. We suggest that you only use official Kodi addons for your content needs. This addon is now officially offline, however, as its developer quite maintaining it and deleted his Github account. However, the developer failed to take proper precautions when leaving Github, which resulted in his old account being hijacked. His account was re-registered under the same name by a different party, who now has the abiltiy to push malicious updates to 13Clowns and other addons the developer maintained. DO NOT INSTALL 13CLOWNS. Additionally, if you DO have 13Clowns installed, DELETE IT IMMEDIATELY. This addon is not only infringing but is also a security and safety concern for Kodi users. While the 13Clowns addon has a lot of varied content, it is unlicensed. Third-party addons like 13Clowns are often published without a significant amount of vetting and may result in security concerns that only get uncovered after the damage is done. You should still be careful when downloading any unofficial addons. For example, there have been cases where developers have covertly inserted malware into their addons and compromised users’ systems. For example, the original developer of the Exodus addon, Lambada, added lines of code to the plugin to launch a DDoS botnet which targeted the sites of some of his adversaries. Official addons must follow strict guidelines and do a great job of providing high-quality content. Moreover, many of these addons are free. With this in mind, here’s a list of addons that we suggest as good alternatives to 13Clowns. Crackle is an ad-supported, free streaming free service by Sony which offers VOD content. Crackle doesn’t have all of the latest content but there is a good mix of new and old. You will find movies such as Follow Friday (2016), Air (2015), and Aloha 2015). There are TV shows available such as The Blacklist: Redemption, Dilbert, and Franklin & Bash. You will also find animated titles such as D.Gray-Man, Afro Samurai, and Blood Blockade Battlefront. 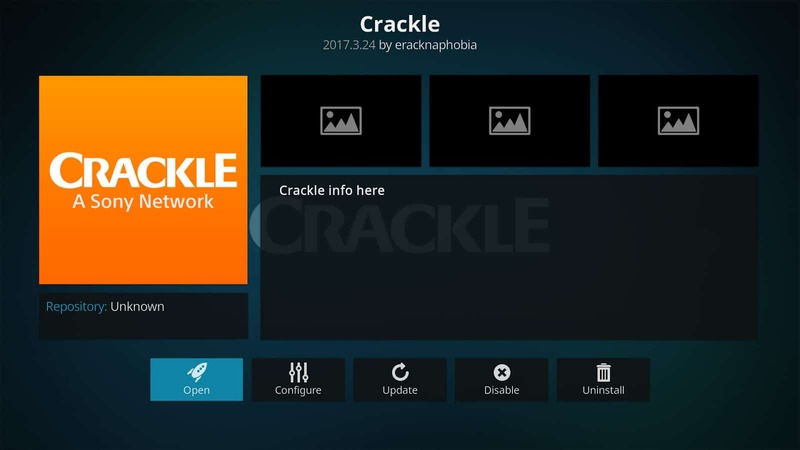 In addition to the Kodi addon, Crackle can be accessed from web browsers, the Roku, Apple TV, Chromecast, Amazon’s Fire TV, and on several Smart TVs. However, using Crackle through Kodi filters out the ads Crackle puts into its videos, making Kodi the best way to watch Crackle. Currently, Crackle is only available in the US and Australia for free. It is also available via subscription in many Latin American countries. However, connecting to a US or Australian VPN server will allow you to bypass any geo-restrictions. 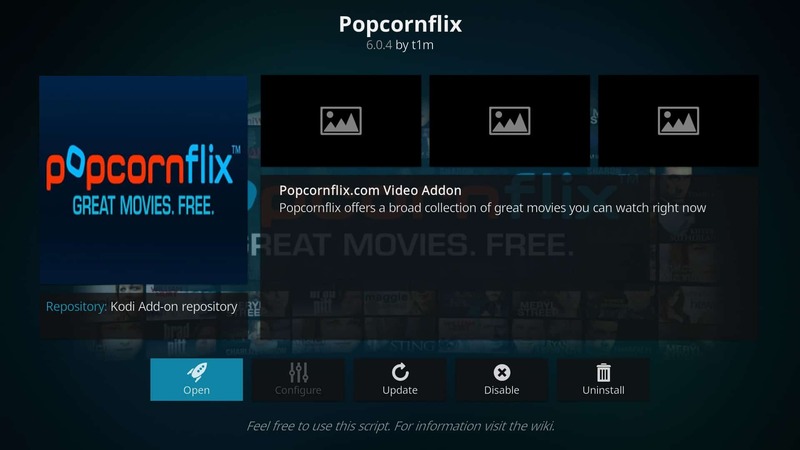 Popcornflix is another ad-supported service which gives viewers access to a wide selection of movies and TV shows. There are a few B-level titles available but you can still find decent TV shows and movies to watch. You can find TV shows such as Coast Guard Alaska, and The Cult. Movies like Heist and Beverly Hills Cop 3 are also available. Popcornflix is available only in Canada and the US. However, if you don’t live in one of these countries, you can access the service by connecting to a corresponding VPN server. Tubi TV is another streaming service which offers a large library of films and movies. 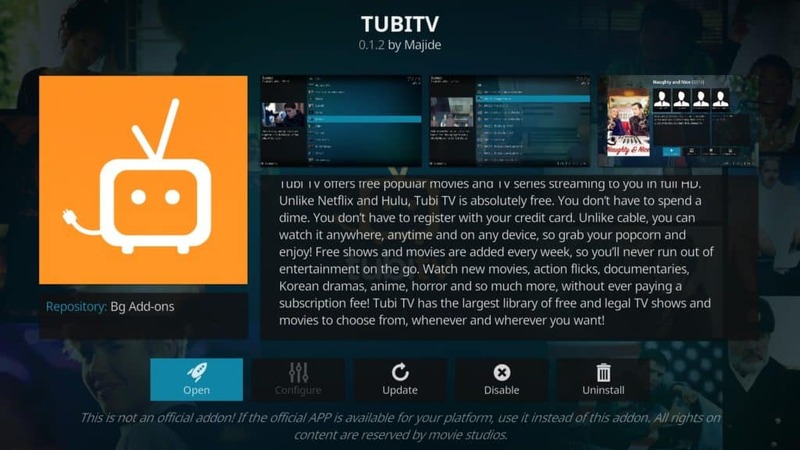 If you watch using the Tubi TV Kodi addon, the ads will be filtered out. You can find decent movies on Tubi TV, such as A Christmas Eve Miracle and Warm Bodies. You can even find TV shows like Five Days and Jongo. Tubi TV can also be accessed directly from your web browser, from 4th generation Apple TVs, Amazon’s Firestick and Fire TV devices, and on Samsung Smart TVs. While some content is restricted to the US, Canada, and the UK, you can access it from outside of these regions by connecting to an appropriate VPN server. Additionally, each region where Tubi TV is available has a different content library, so if you’re in the US, UK, or Canada and what all of what Tubi TV has to offer, a VPN is required. 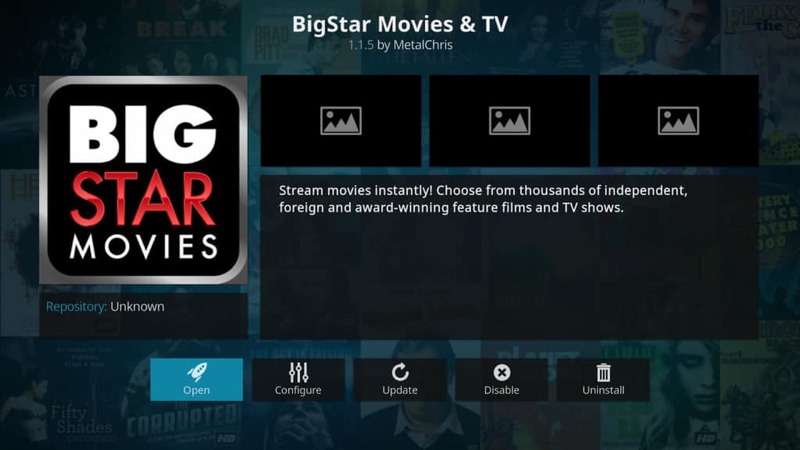 Big Star Movies is a streaming platform whose content can be accessed from the Big Star Movies & TV Kodi addon. You can find TV shows such as the Inbetweeners and Castaway Canada and movies like Gregoire and Keeping Rosy. There aren’t many mainstream titles available but the shows available are entertaining. Some subscription services don’t have Kodi addons. Playon lets you access some of these services like, DirectTV Now. You can then enjoy the corresponding content using the PlayOn Kodi addon. PlayOn lets users record content from streaming services and play it back it later. If you have a cable TV service or Direct TV now you can also watch live TV. To use PlayOn, you will have to have a subscription to the service you want to access as well as a PlayOn subscription which costs $30/year. 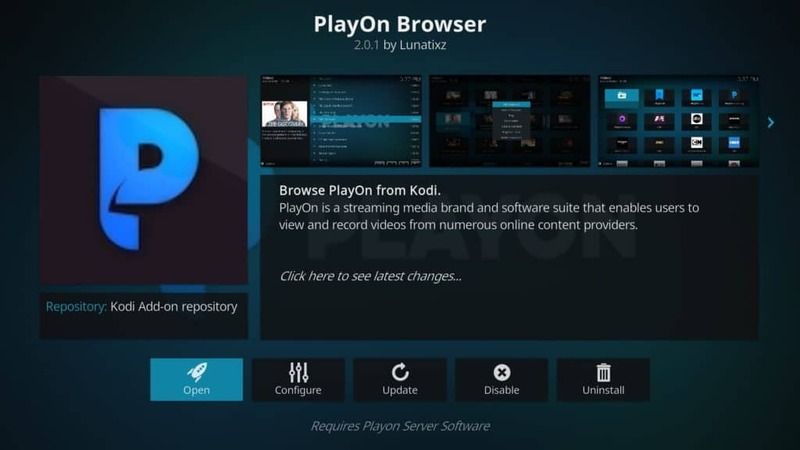 The Playon Kodi addon is available from the official Kodi addon repository. Although 13Clowns gives access to a wide range of content under one umbrella, this content infringes on copyright laws. We recommend that you find safer, legitimate alternatives. While the official alternative addons like Crackle and Popcornflix presented here don’t provide as many titles individually, they can be grouped together to provide a large library of enjoyable content for free. 3 What is the 13Clowns Kodi addon?